The holidays are over -- which means you're probably out of money -- but there are a few local businesses worthy of your attention in Las Vegas. Whether it's due to their innovation, quality, or willingness to (shocker) put the customer first, these are the companies and services most deserving of your hard-earned dollar in 2017. Need more than a needle and thread to get some work done? The Stitch Factory offers a design space inside the Emergency Arts building Downtown, allowing creative minds to work side-by-side in a collaborative environment. So in other words, you don't have to borrow your mother's sewing machine anymore. 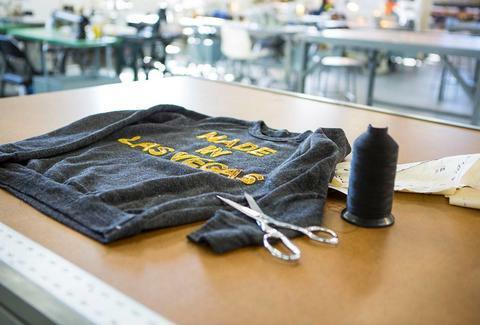 The Stitch Factory also provides branding designs and merchandise for Las Vegas businesses, allowing budding entrepreneurs to take their products and services to the next level -- at least with something cool to wear. 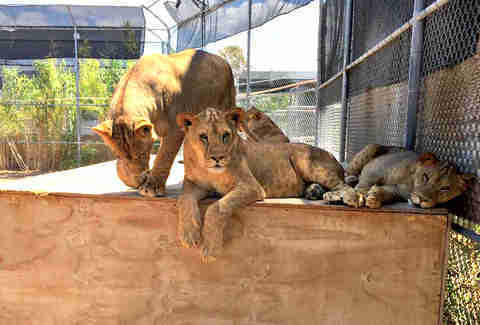 This sanctuary is the home for dozens of lions and other exotic animals -- many of whom were once part of attractions on the Strip years ago. It's also where you'll find Ozzie, the only giraffe in the entire state of Nevada, and money is currently being raised to expand his habitat. In a town without an official zoo, the Lion Habitat Ranch is the next best thing, offering not only a great way to spend an afternoon, but an educational experience as well -- if you're into that sort of thing. Hate going to the dry cleaner? Me too. 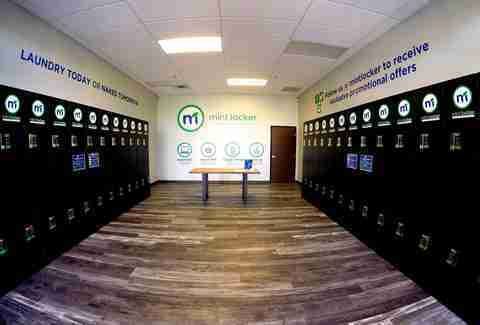 So how about this for an idea: Mint Locker has set up lockers throughout the Las Vegas valley, where you can drop off and pick up your dry cleaning whenever you want 24/7. Payment is done with an app on your phone -- usually at a price that beats the usual brick-and-mortar dry cleaners. The company is hoping to spread the concept around the country and turn the industry on its head kinda like Uber did for the transportation business. This private urban dog park was founded by "Chief Human Officer" Cathy Brooks, who left the tech world in San Francisco to develop a different kind of social club for doggies. Don't call it a kennel -- since you won't find a cage anywhere on the property. Instead the dogs roam freely on beds and couches while enjoying plenty of room to run around an outdoor yard that features something rare in Las Vegas, real grass. Classes are offered as well for not only canines but owners who want to truly understand and interpret their pet's behavior and barks. Keep in mind, not everyone can be a member of this club. Each dog must pass a strict screening process to make sure the Hydrant Club remains a safe environment for dogs big and small. Keep your eyes peeled for a new way to get around Las Vegas. 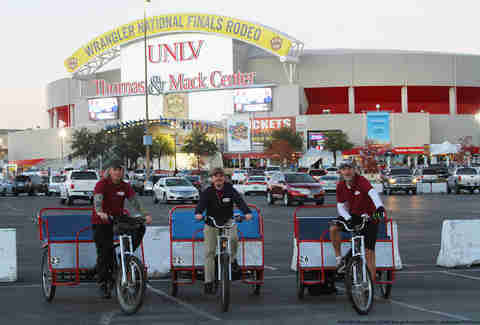 Thanks to the Wild West Shuttle Co., pedicabs are showing up in places like the Downtown Summerlin shopping center and UNLV properties like the Thomas & Mack arena. Think of them as a hybrid between a bicycle and a rickshaw. Just hop in the backseat and chill while your driver pedals away and does all the work. After switching locations, Cigarbox can now be found just west of the Strip near Dean Martin and Flamingo. It's the perfect spot, close to the action but without all the inconvenience and chaos near the big casinos and there's even an ultra-cool vintage cigarette machine tucked away in the corner. 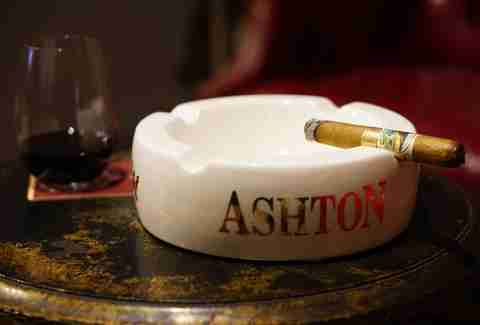 So pick out a stogie from the humidor, take a seat, and just relax. You can watch the game or get some work done on your laptop. Either way, make a quick detour to the bar. Any good cigar is is better with a little wine or whiskey on the side. Vegas Foodie Tours takes a simple concept -- and just absolutely nails it, outshining the competition in putting together food walking tours of both the Strip and Downtown. You'll spend time at the best restaurants Vegas has to offer (legit with hot spots like Bardot, Carson Kitchen, and Herringbone on board) while enjoying a selection of signature dishes and drinks along the way. The tours are never padded with lackluster dining spots or dull detours and the guides bring the right balance of personality, energy, and knowledge while on the march. The Space is exactly what the name suggests -- a community-oriented arts complex ready to accommodate everything from plays and musicals to readings, photo shoots, and workshops. There's even a recording studio for podcasts and a vintage piano lounge. First and foremost, the venue will be the home for Mondays Dark -- a bi-weekly show featuring veteran Vegas performers who donate their time and talent -- all in an effort to raise money for different charities. It's the brainchild of Mark Shunock -- formerly of Rock of Ages -- who appears eager to prove those with artistic ambitions shouldn't be limited by a lack of resources. Now it's up to you to get off the couch. Bratalian had a rough 2016. Back in August, a car lost control and crashed through the front of the restaurant, causing it to shut down for two months. Fortunately, no employees were hurt and all of them stayed on board, thanks to a GoFundMe page that offered some relief before the insurance kicked in. 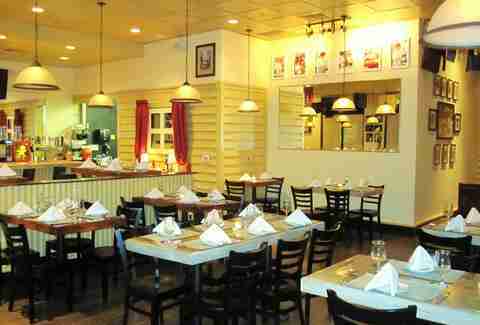 During the Downtime, the dining room was redesigned (including booths replaced with banquets and yeah, that car removed from the front door) while Chef Carla Pellegrino got a chance to tweak the menu a bit. Long story short: Bratalian is better than ever and it's time you paid another visit. 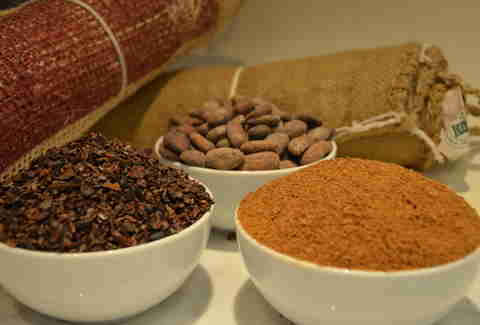 And where else are you going to find a combination of Brazilian and Italian flavors on the same menu? Wait. This is a huge corporate conglomerate. Why should we support them? Because the Sands Corporation is the largest resort and gaming company in Las Vegas to NOT announce plans to charge for parking on the Strip in recent months -- yet. So let's do our part to keep it that way. 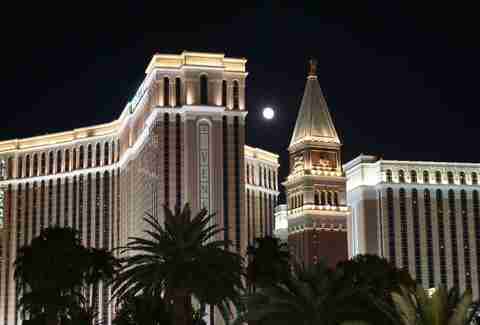 The Sands runs the Venetian and Palazzo resorts both of which have plenty of reasons to visit anyway. So spend some money here and hopefully, their parking garages will be kept free of payment kiosks. While you're at it show some love to the SLS, Lucky Dragon, Stratosphere, and Tropicana as well. Wynn Resorts gets a thumbs-in-the-middle after announcing plans to charge for valet but (for now) keeping the self-parking free. Rob Kachelriess is a former television news producer who has been writing about Las Vegas in Thrillist for more than three years. He was Managing Editor for Vegas2LA Magazine and his work has recently appeared in Vegas Seven and Vegas Magazine. He is taking a long, hard look at his dry cleaning bill. Follow him on Twitter @rkachelriess.